2018 National Signing Day brings both good news and bad news for Kansas football. The good news is that KU returns the second-most production of any team in the country going into next year, according to Bill Connelly’s returning production rankings, and this class has some guys who should be able to complement the returning talent right away. The bad news is that from a teambuilding and philosophical standpoint, this class is terrible. For the past three years, insiders and outsiders have defended Beaty, citing the roster depletion from former coach Charlie Weis’ over-reliance on junior college graduates and transfers. In Beaty’s fourth recruiting class, there are 11 JUCO commits and eight high school kids. Out of those eight high school recruits, only two hail from Texas, Beaty’s home state. This is a desperation class at best, and a Kansas football institutional crisis at worst. 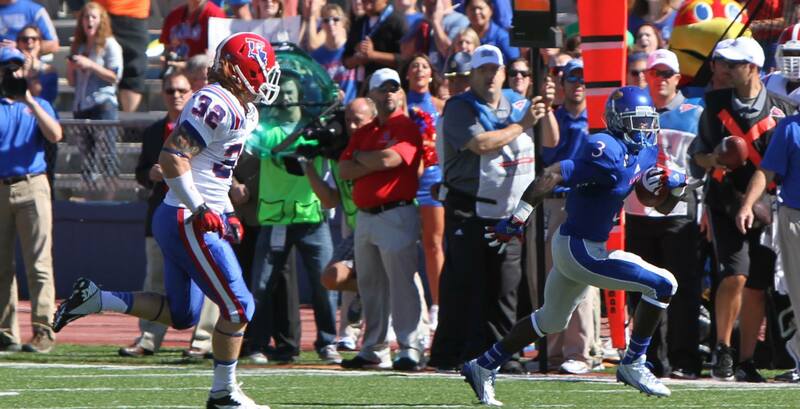 Let’s take a look at some of the most interesting storylines for the Jayhawks. No position was more interesting in the 2018 recruiting cycle than the quarterbacks. KU landed two QB commits in 2018. Both are very different than what we have seen in the Beaty era. Ever since Beaty stepped on campus, the quarterback position has felt cursed, starting with Michael Cummings tearing his ACL during the spring game. Beaty’s last three starting quarterbacks have all struggled in different aspects of the game. Notably, none of the three are very mobile. Enter in Torry Locklin and Miles Kendrick, two quarterbacks who have their own strengths and weaknesses but share one common trait: they are natural runners. Kendrick, the first QB to pledge to the Jayhawks and an early enrollee, is a 4×3 JUCO (four years to play three seasons) commit who runs like a slot receiver in space. While his passing numbers were less than desirable, Kendrick showed solid pocket presence and good escapability. Locklin is a Texas 3A high school champion who put up a gaudy 2400 yards and 30 TDs on the ground. He is a smooth, left-handed athlete and he is not afraid to run between the tackles. Although he is no doubt a legit dual threat, his throwing motion and arm strength gave scouts pause. Interestingly, both Locklin and Kendrick played in a read-option offense. Doug Meacham is known for utilizing dual-threat quarterbacks in a hybrid spread option air raid attack. I believe Carter Stanley will have the job in 2018, but this new style of quarterback could signal a change in the program’s offensive identity moving forward. Remember a year ago when Kansas was sixth in the country in FOOTBALL recruiting? They just had a monster junior day brining, in high four-star recruits JaMarr Chase, Devonta Jason, Tevailance Hunt, Pooka Williams and Corione Harris. Today, only Harris and Williams remain committed. That’s what happens when you fail to win an FBS game. Nevertheless, pulling in two four-star recruits from one of the most heavily recruited areas in the country is still a major boon for lead recruiter Tony Hull. Add in to the mix LB Ryan Marlborough and you have an interesting jambalaya of Louisiana prep players. Corione Harris is a ready-to-play cornerback that delivers punishing hits in the same style as KU standout Mike Lee. Harris was featured both inside and outside in high school and displayed excellent run support capabilities. Corione will compete for a starting job in the secondary the moment he steps on campus. The Jayhawks’ other four-star “Louisianimal” is the playmaking all-purpose back Anthony “Pooka” Williams. Williams tore up Louisiana’s highest level of high school football rushing for over 3000 yards and 37 TDs. Want a kid who can return kicks? Catch passes out of the backfield? He can do all of those things and well. Marlborough is the wild card out of this group. The Louisiana native was injured in his senior year which scared off some of the bigger schools. While 247 lists him as a safety, he projects as a hybrid linebacker in Clint Bowen’s defense. 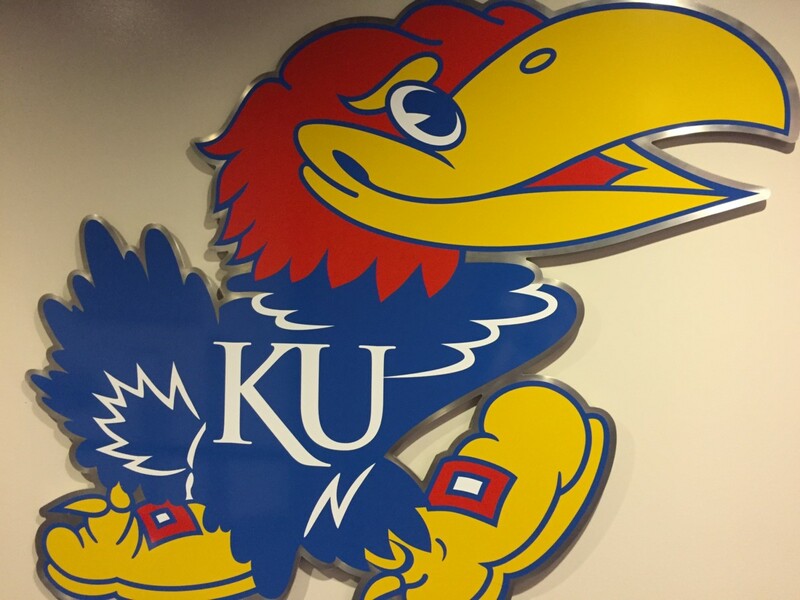 Beaty’s fourth class at Kansas features 11 JUCO players and one graduate transfer leaving the door open for a tiny 2021 senior class. 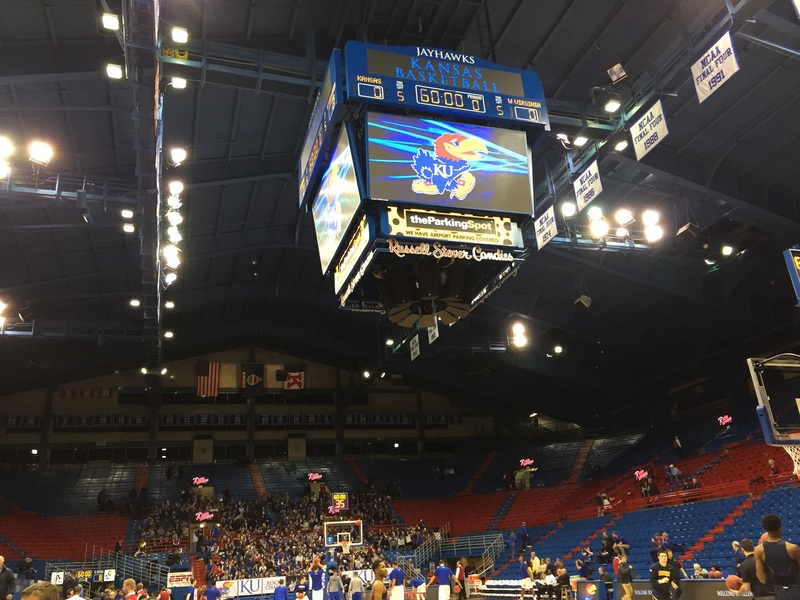 Kansas fans have an understandable lack of trust in JUCO-heavy classes. Charlie Weis built his program around them, which led to the dire scholarship numbers at the beginning of the Beaty era. For that reason, it is hard to swallow Beaty’s strategy of adopting a heavy JUCO class in 2018. In his press conference, Beaty explained the decision by emphasizing that his JUCO recruits were all qualifiers and immediate contributors. While this may be true, it does not address the issue of what is going to happen in 2021 when KU trots out anywhere between 10-15 seniors. The JUCO strategy comes across as a CYA for Beaty and really leaves the program vulnerable down the road. Another concerning area for Beaty’s staff was that he missed out in Kansas and Texas; the two places he vowed to improve the Jayhawks recruiting. In the Sunflower State, Beaty was only able to sign two of the top 10 recruits in the 2018 cycle. Most notably missing out on CB Ekow Boye-Dow the number three recruit in the class and a Lawrence native. In Texas, KU only inked two players, neither of whom hail from the Dallas-Fort Worth area. Not being able to recruit Texas despite building your career as a Texas recruiter is extremely concerning. Not being able to recruit Lawrence is a fireable offense. All in all, the 2018 KU football class has talent and could provide some competition on the field. Trusting Beaty with this talent is a totally different thing. In 2017, the Jayhawks were ranked 68th in true talent according to 247’s Talent Composite, yet they ended up finishing 125th in S&P+’s final rankings. This class feels like Beaty’s last stand, and his failure to develop this class will be his undoing.